Wow! What can I say about this wedding? There is just too much! This was a seriously incredible wedding from beginning to end. 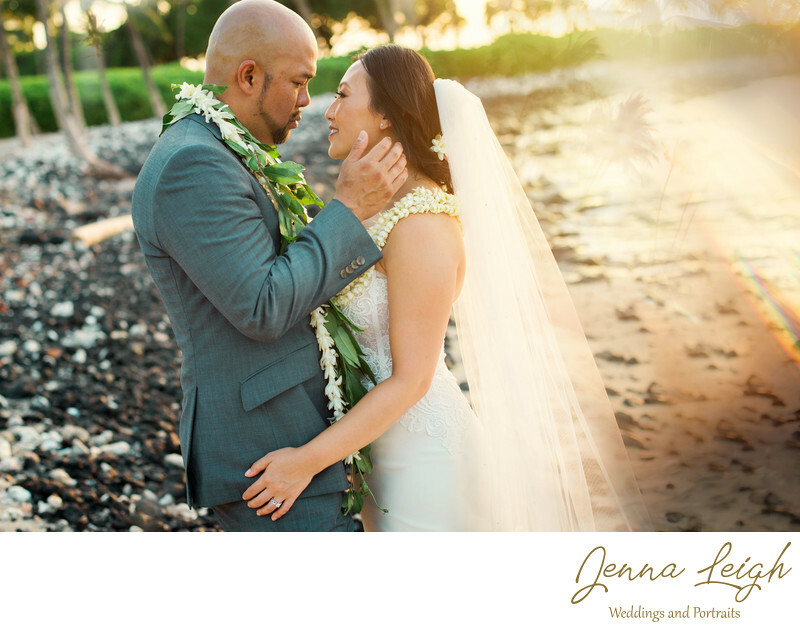 Jessie and Richard flew me out to the Big Island of Hawaii to photograph their gorgeous wedding at the Fairmont Orchid. The minute I stepped into the room Jessie and her friends greeted me with warm smiles and made me feel like I was part of their team. I really enjoyed hanging out with them and capturing all the festivities going on around me. When Jessie put on her mermaid style dress we were all speechless! She was a stunning bride, and I couldn’t wait to see her wedding unfold. Not only were the details that Jessie put together breathtaking, but the warmth and emotion of the day had so much beauty. There was so much laughter, so many tears, and so much love flowing from Jessie and Richard and to their family and friends. When we hit the reception it was definitely one for the books. I absolutely loved all the beautiful twinkling lights around the venue, but more than anything I was excited to see the party get more and more crazy throughout the night. This is definitely one of my favorite parts of any wedding. I love to capture people having a great time, and everybody at this wedding definitely was! Location: The Fairmont, Kona, Hawaii .